Last night saw the UK premiere of Chris Malloy’s new film ‘The Fisherman’s Son’, presented by Patagonia, which tells the inspiring story of Chilean surfer Ramon Navarro’s journey from humble beginnings to world renowned big wave charger and environmentalist and how his quest to save the wave he loves lead him to set up the Punta De Lobos Por Siempre campaign. 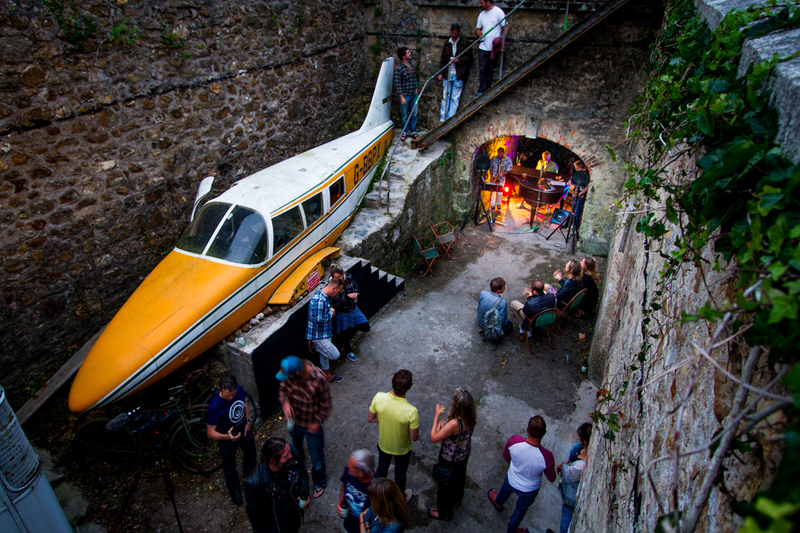 The screening was held an old Foundry which had been transformed by its owner Chris into the most unique of living spaces, full of repurposed materials, including a double decker bus and wingless plane, which had been converted into guest bedrooms. Ramon Navarro and Chris Malloy, along with fellow Patagonia ambassador Kohl Christensen had made the trip over for the screening, where they were luckily greeted by yet another day of amazing waves and sunshine here in Cornwall. 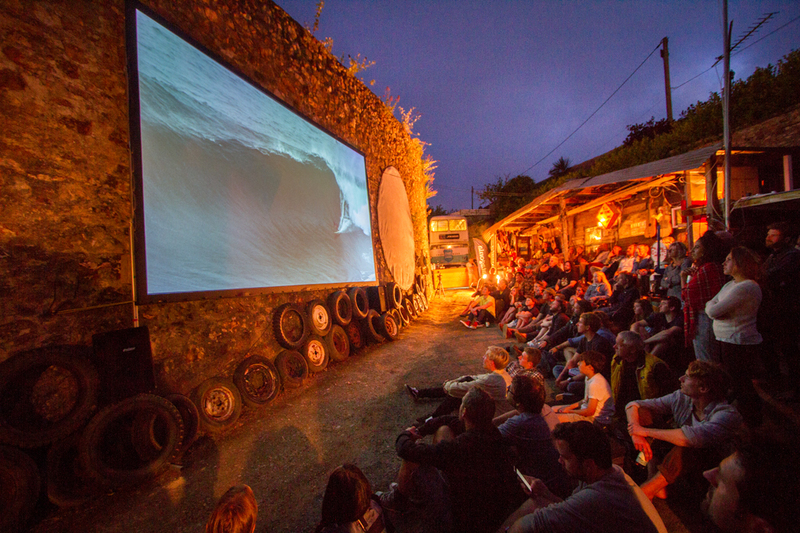 Due to the screens outdoor location, the film did not start until dusk, allowing the boys to squeeze in a quick sunset surf before joining the party. 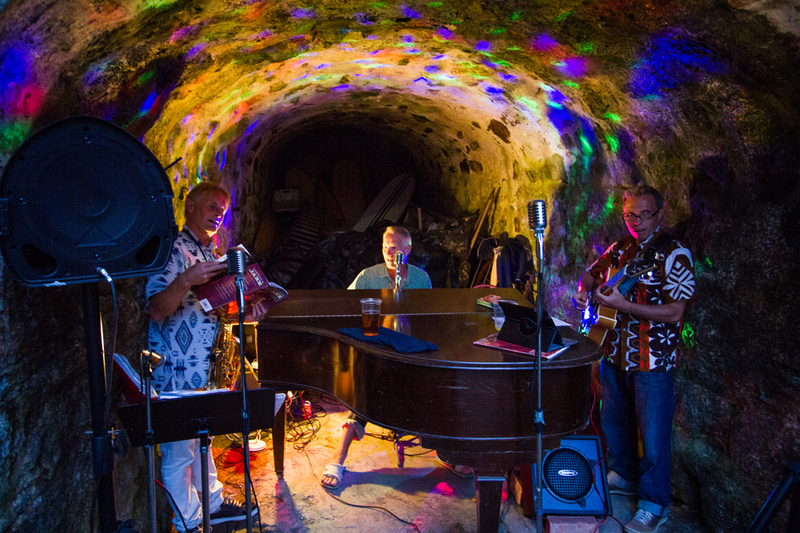 Meanwhile guests were entertained with plenty of drinks, courtesy of St Ives Brewery, Paella and live music, which drifted out from one of the hollowed out tunnel where a three piece band, complete with grand piano, were situated. 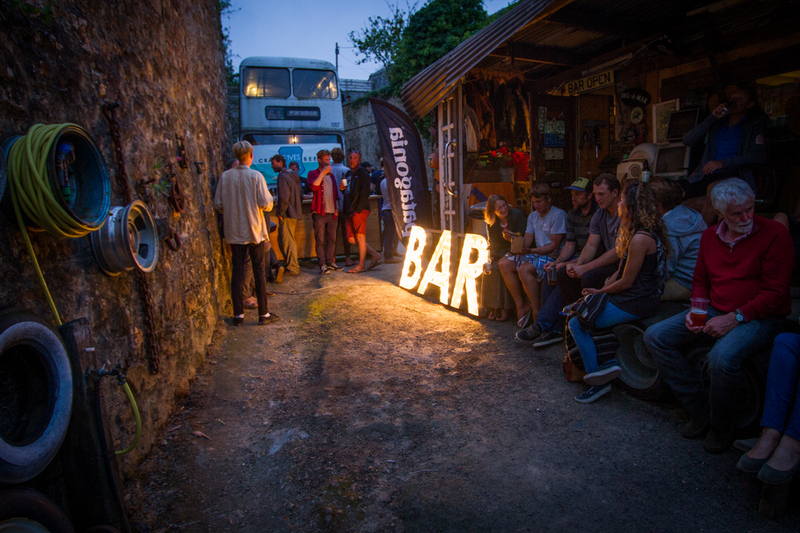 As the sun went down the the scene was set and after a few cheerful words of gratitude from event organiser Gabe Davies, film maker Chris Malloy central protagonist Ramon Navarro, the film began. It was immediately greeted by a palpable sense of awe by the assembled crowed, with bursts of spontaneous applause and communal wooping at various moments throughout. Overall it seemed hard to deem the event, which was helping to raise money and awareness for the Save Our Sands Hayle campaign, as anything other than resounding success as an uplifted crowd dispersed into the still warm summers night and we hope to see plenty more like it for years to come.